Mother Teresa was a Roman Catholic nun and missionary from Macedonia. 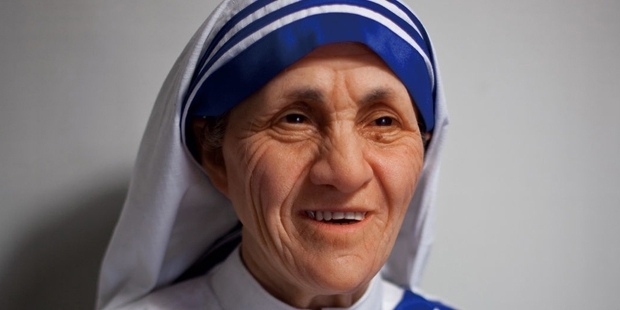 She is best-known for having founded the Missionaries of Charity, a Roman Catholic religious congregation that runs various care centers and hospices for people with HIV/AIDS, Leprosy and tuberculosis. This congregation is also responsible for managing soup kitchens, dispensaries, mobile clinics as well as children’s and family counseling programs along with their schooling and education. 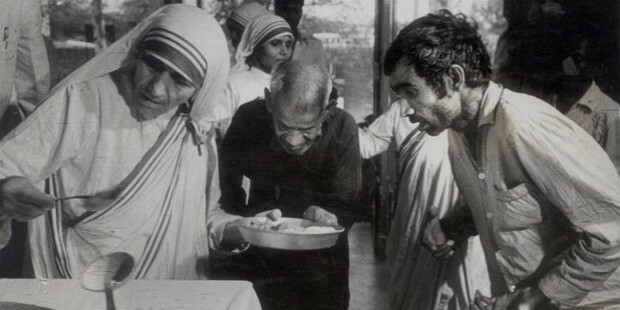 Founding the Missionaries of Charity, Mother Teresa ran hospices and homes for people with HIV/AIDS, leprosy and tuberculosis. Schools, orphanages and soup kitchens were also plentiful in the charity, which by 2012 consisted of over 4,500 sisters in 133 countries. In order to join the mission, members must adhere to the vows of chastity, poverty and obedience, and the fourth and final vow to give “wholehearted and free service to the poorest of the poor”. 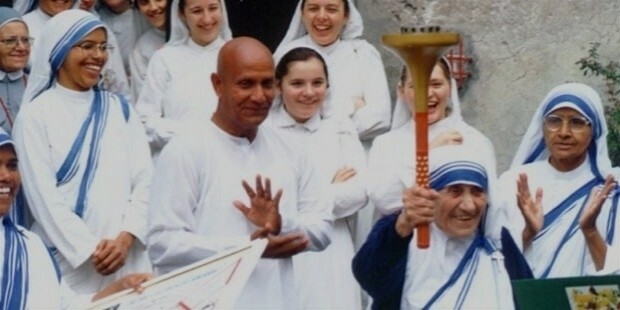 This compete devotion to helping others has made Mother Teresa an iconic figure of good in the world. 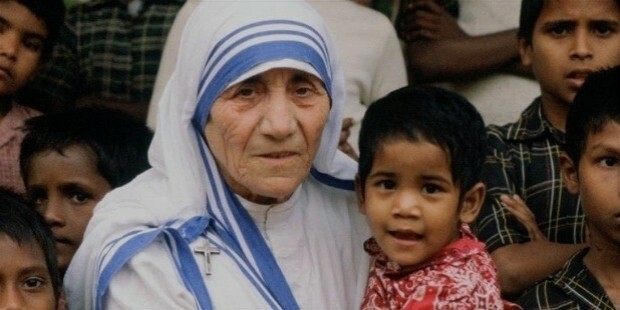 With her selfless sacrifices to help the needy, it’s not surprising she ranked first in the 1999 poll of most widely admired people of the 20th century. 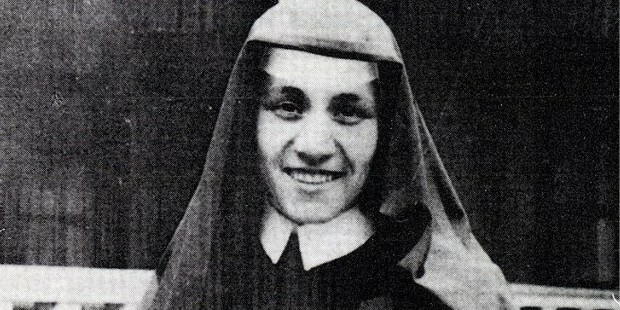 Mother Teresa, earlier known as Ajeze Gonxhe Bojaxhiu, was born on 26th of August in 1910 in a Kosovar Albanian family in Skopje, present-day Macedonia. 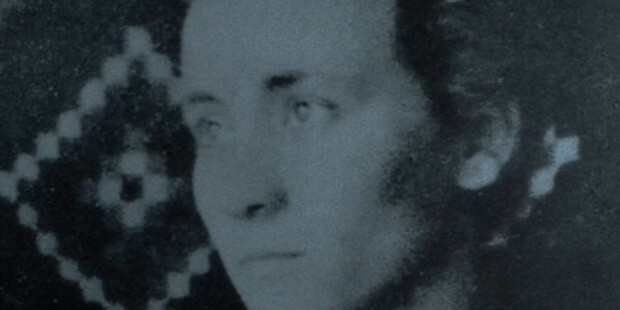 She was the youngest child of Nikolle and Dranafile Bojaxhiu (Bernai). From an early age, she is reported to have been inspired and influenced by the lives of missionaries in India and their services for the poor and the downtrodden and was convinced by the age of 12 years to commit her life to religion and the service of humanity. In 1928, at the age of around 18 years, Agnes left home and joined the Sisters of Loreto at the Loreto Abbey in Rathfarnham in Ireland. She learnt English there as that was the language the Sisters of Loretto spoke to the school children in India. The next year, in 1929, Agnes arrived in India and began her novitiate in Darjeeling, in the lap of the Himalayas. While in Darejeeling, Agnes started learning the local language, Bengali and started to teach at the St. Teresa’s School. On 24 May, 1931, Agnes took her first religious vows as a nun and chose the name, Thérèse de Lisieux, the patron saint of missionaries, but because that name was already taken by someone else at the convent, she picked the spanish name Teresa instead. On 14 May, 1937, Agnes took her solemn vows while she was a teacher at the Loreto Convent School in Entally, eastern Kolkata. She lived in the area for almost 20 years and was appointed as the headmistress in 1944. 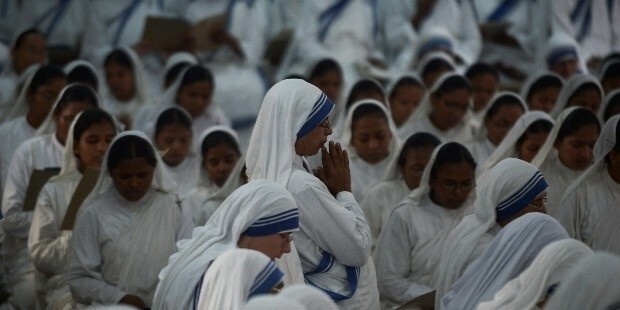 In 1948, Teresa began her work with the poor and replaced the Loreto habit with the simple white cotton sari decorated with a plain blue border. She also adopted Indian citizenship as well as spent a few months in Patna, Uttar Pradesh to get trained in basic medical procedures in the Holy Family Hospital. 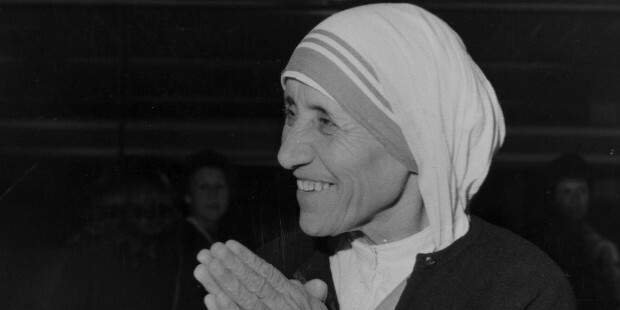 On 7 October 1950, Teresa gained permission from the Vatican to start the new diocesan congregation that would later be named as Missionaries of Charity. Starting with a small congregation of 13 members in Kolkata, by 1997, it had grown to include more than 4,000 sisters managing orphanages, AIDS hospices and charity centers worldwide, as well as running refugee care centers along with care centers for the blind, disabled, aged, alcoholics, poor, homeless as well as victims of famine, flood and epidemics. 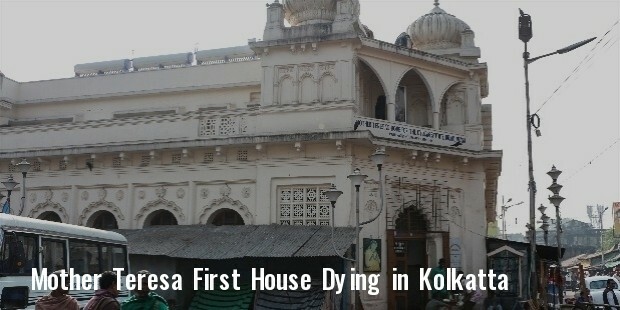 In 1952, Mother Teresa opened the first Home for the Dying in Kolkata, a free hospice for the terminally ill poor. She later named the hospice as Kalighat, the Home of the Pure Heart (NIrmal Hriday). This was a last destination for many terminally ill but poor people and care was provided to serve each with their individual religious rights and rituals. 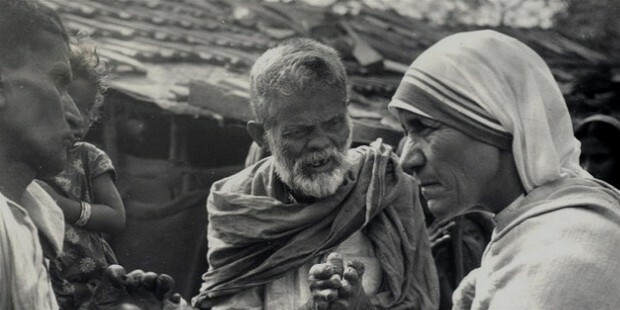 Mother Teresa was best-known for her work amongst the world’s lepers, and had opened the hospice, Shanti Nagar (City of Peace) for increasing the outreach towards people suffering from leprosy throughout Kolkata, and provided them with medication, bandages and food. 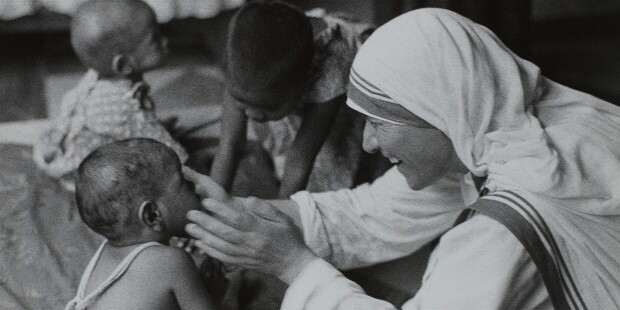 In 1955, due to the increasing number of children being taken care by the Missionaries of Charity, Mother Teresa created the Nirmal Shishu Bhavan, the Children’s Home for the Immaculate Heart, which proved to be a haven for the homeless and the orphans. 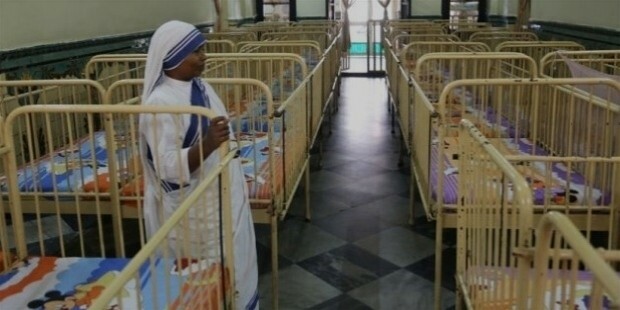 By the 1960’s the growing popularity of the Missionaries of Charity due to their immense charitable work amongst the city’s destitute, poor and the unwanted, there were hospices opened up across India. Its first international presence was in Venezuela in 1965, started by five sisters, later on other global Missionaries of Charity centers were opened in Rome, Austria and Tanzania in 1968. In the 1970’s the congregation had expanded to include hundreds of such hospices and centers in Asia, Africa, US and Europe. By 2007, the Missionaries of Charity included more than 450 brothers and 5,000 sisters worldwide, operating over 600 missions, schools and shelters in more than 100 countries. In 1983, while in Rome Mother Teresa suffered a heart attack, on a visit to Pope John Paul II and suffered another heart attack in 1989 after which doctors implanted an artificial pacemaker. In 1991, she suffered from pneumonia in Mexico and suffered further heart problems. After this her health was on a steady decline. 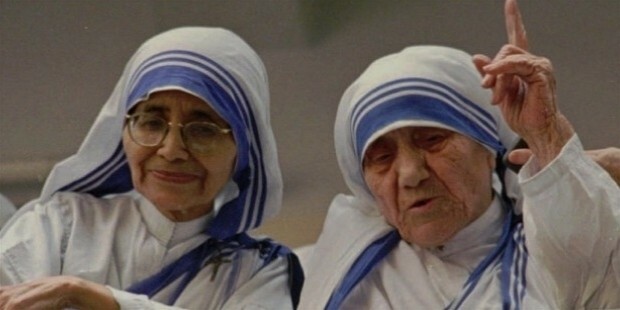 On 13 March, 1997 Mother Teresa resigned from the position of head of the Missionaries of Charity. 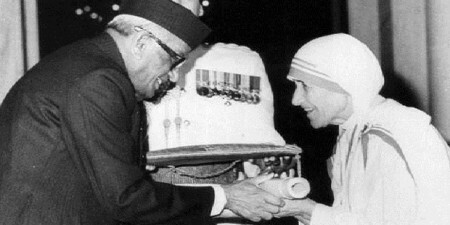 Mother Teresa breathed her last on 5 September, 1997. 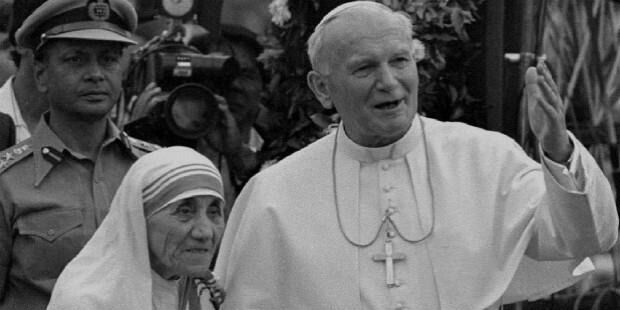 Mother Teresa has been one of the most revered and celebrated figures on the 20th century. In 1962, she was awarded the Padma Shri, by the Indian government for her selfless devotion to charitable work. 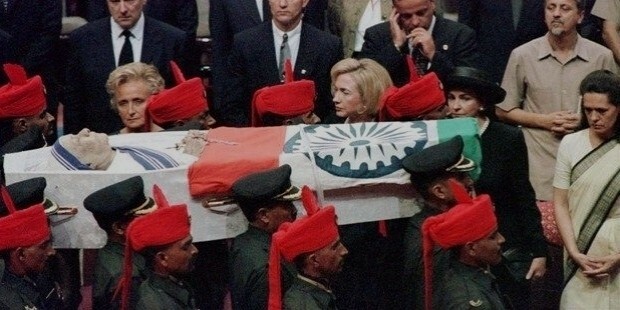 In 1969, she was awarded the Jawaharlal Nehru Award for International Understanding. In 1980, she was awarded with India’s highest civilian award, the Bharat Ratna. 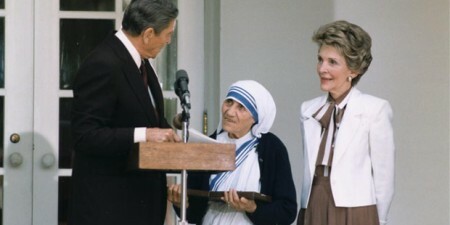 Apart from India, Mother Teresa was recognized as a loving and charitable being abroad with many international awards being credited to her. In 1962, she received the Ramon-Magsaysay Award for International Understanding, for her extensive work in East and South Asia. 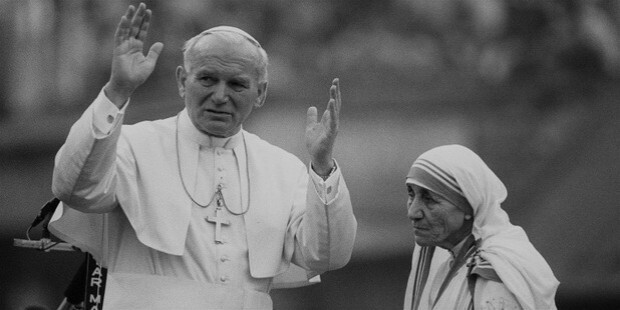 In 1971, she was awarded her first Pope John XXIII Peace Prize by Paul VI for her commendable work amongst the poor and display of Christian charity and efforts for peace. In 1976, she received the Pacem in Terris Award. In 1983, the US awarded her the Order of Merit and an honorary citizenship of the United Stated in November of 1996. In 1994, she was awarded by her homeland, Albania, the Golden Honor of the Nation. 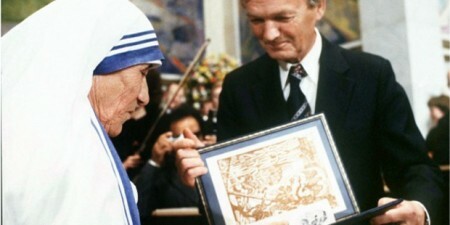 In 1979, Mother Teresa was awarded the Nobel Peace Prize by the International Nobel Prize Committee. 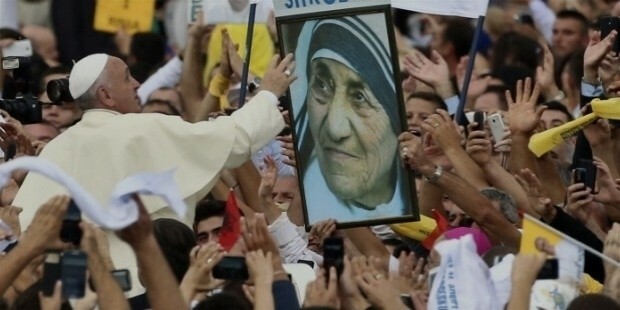 In 2016, she was declared a saint in a canonization Mass held by Pope Francis in the Vatican. Pope Francis delivered the formula for the canonization of the Albanian-born nun -- known as the "saint of the gutters" -- before huge crowds of pilgrims gathered in St. Peter's Square in Vatican City. 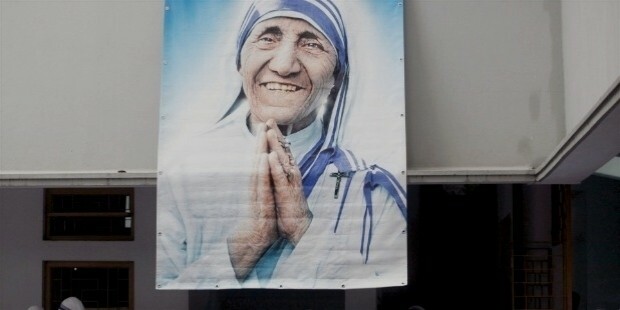 However, Mother Teresa also has had her share of critics. Whilst dedicating her life to helping the less-fortunate, she has been accused of lacking transparency and mismanagement of funds, as well as failing to provide medical care or painkillers to patients. 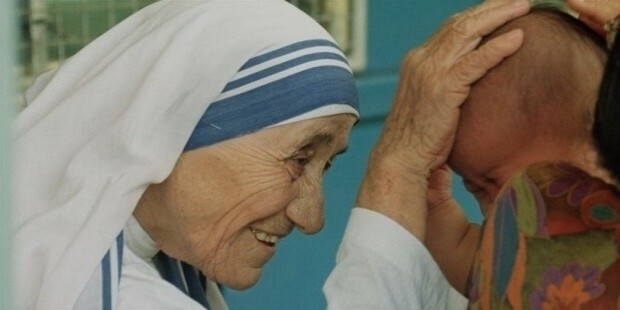 Mother Teresa preserved through criticism. While the numerous accolades she received would have made her proud, the criticism that came with it would have been difficult to endure. 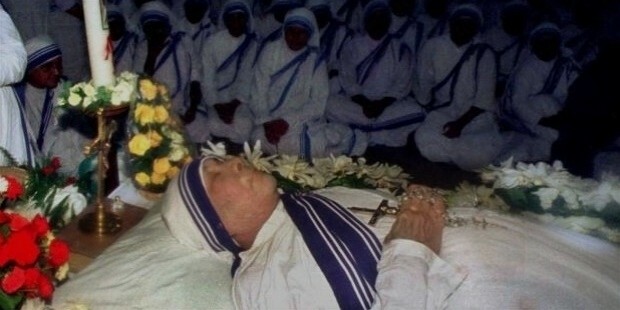 Towards the end of her life, the negative attention from the western media was growing, with critics calling her “anything but a saint”. These letters show the inner turmoil and despair of a woman who has spent her life dealing with the poorest of the poor, and the sickest of the sick. In India, during those times, 90% of the population was below the poverty line. Experiencing so much pain and suffering in the world brings doubt to even the most faithful of minds. Her courage and commitment carried her, though. Despite the crises of faith, she upheld her vows and continued to help needy in every way she could. 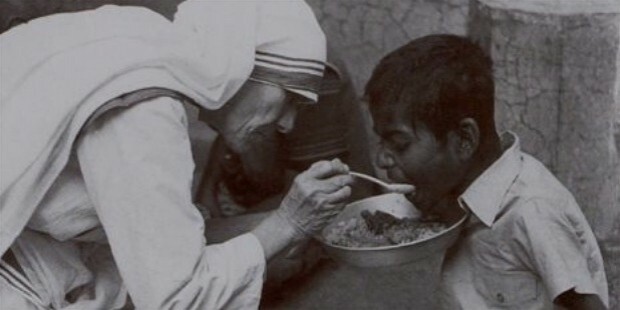 Mother Teresa was always committed to the cause. She started the first Missionaries of Charity congregation in 1950, and through years of persistence and overwhelming generosity saw the organization grow to 610 operating missionaries during her lifetime. Her commitment to uplifting society not only helped thousands of poverty stricken patients, but her memory will continue to inspire altruism and social responsibility for generations to come. 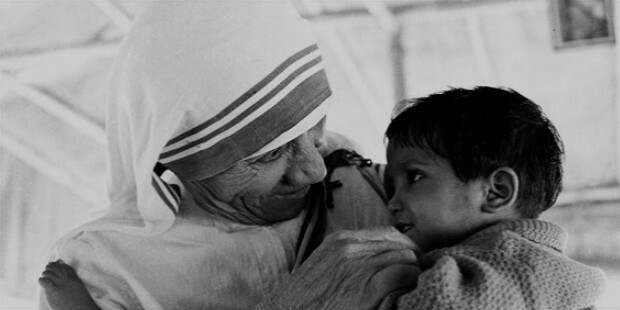 The Inspiring Women in the World Mother Teresa.